The name of the club is THE CELLAR CLUB INCORPORATED. (a) To promote the furtherance, understanding and appreciation of wine through wine tastings, meetings, visits to vineyards, and such other related activities as dinners which, from time to time, are considered to assist in the furtherance of the Club’s appreciation of wine. 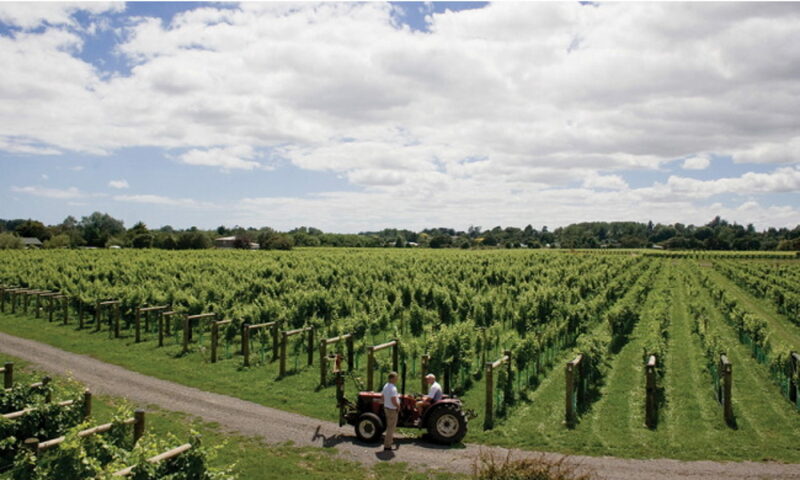 (b) To liaise with persons concerned either directly or indirectly with the production and promotion of wine either in New Zealand or overseas, in order to further the primary interests of the Club. (c) To assist in the education and appreciation of wine in the wider community as opportunities arise. (d) To liaise with organisations having similar aims with a view to the exchanging of ideas and the entering into arrangements of mutual assistance to the Club. (e) To purchase, take on lease or exchange, hire or otherwise acquire any real or personal property, any rights or privileges which the Club may think necessary or convenient. (f) To fund its activities by raising money from subscriptions, meeting charges and other means approved by the club and to grant any right or privileges that may attach to such subscriptions. (g) To borrow, raise or secure the payment of money in such manner as the Club shall think fit and in particular by mortgages, debentures, or debentures charged upon all or any of the Club’s undertaking, property and assets. (h) To make, draw, accept, discount, and execute any promissory notes, bills of exchange, debentures or other negotiable instruments. (i) To invest, lend and deal with the moneys of the Club not immediately required upon such Trustee Securities as the Club may think fit. (j) To appoint, remove or suspend any secretaries, treasurers, clerks, agents or servants. (k) To make, adopt, vary, and publish rules, by-laws and regulations dealing with any of the matters comprised in the above mentioned objects and to take all such steps as shall be deemed necessary or advisable for enforcing such rules, regulations, by-laws and conditions. (a) Those eligible for membership of the Club shall be persons over the age of eighteen (18) who have stated their intention to further their interests and knowledge of wines and shall have submitted the appropriate application form. (b) Persons on being accepted for membership by the Executive of the Club must become financial within two months of being notified of this acceptance. (c) A financial member shall be one who complies with Rule 3(b) and who subsequently renews their annual subscription as required. Such a member who complies with this clause shall be deemed to be a member in good standing. (d) Visitors to the Club may not attend more than two tasting meetings in any one financial year without becoming financial members of the Club. (e) Members in good standing of any other affiliated or similar Club may enjoy the privileges of the Cellar Club at the discretion of the Executive. (f) Upon application to the Committee, a member may be permitted leave of absence or absentee membership upon terms fixed entirely on the Committee’s discretion. (g) Cessation of membership. Members in good standing shall be deemed to have ceased membership when they have submitted their resignation in writing to the Committee. Members who are not in good standing shall be deemed to have ceased membership when 14 days have elapsed since they have received in writing advice of the state of their membership. (h) The status of life membership may be granted to any member of good standing after a notice of motion has been considered and approved to that effect at an AGM or Special General Meeting of the Club. (i) The Committee shall have absolute power to discipline members or rescind membership for behaviour which is considered detrimental to the interests of the Club. (j) In respect of the foregoing clauses a 75% majority vote of the full Committee shall be required. (a) The funds of the Club shall be devoted to the furtherance of the objects as set out by these rules. (b) All monies received shall be banked in the name of the Club in a suitable bank account. (c) All payments shall be made by cheques duly signed as instructed and passed for payment by the Committee. (d) Petty cash of $20.00 shall be allowed the Honorary Secretary. (e) A cash float of $50.00 shall be allowed the Honorary Treasurer. (f) Special accounts -the Committee shall have power to open special accounts. (g) The financial year for the Club shall be from 1 April to 31 March in the following year. (h) An auditor shall be elected at the Annual General Meeting and shall hold office for the year, being eligible for re-election each year. (i) The accounts of the Club shall be audited before 1 May in each and every year and the auditor’s report circulated with the accounts prior to the Annual General Meeting. The Trustees of the Club’s Bank Accounts shall be the Honorary Treasurer and a minimum of two other members of the Committee. Cheques to be signed by any two of the Trustees. (a) The entrance fee for all new members shall be assessed at a rate to be agreed upon at the Annual General Meeting of the Club for the ensuing year. (b) The annual subscription for all members shall be assessed at a rate to be agreed upon at the Annual General Meeting of the Club for the ensuing year. (c) If any member of the Club is in arrears with his/her annual subscription for a period of two (2) months, then his/her membership shall lapse forthwith. The Club shall adopt a Common Seal and such seal shall be kept under the control of the Secretary and shall never be affixed to any document except by the Secretary or some other person authorised by the Committee in the presence of two other members of the Committee and then only in pursuance of a resolution of the Committee. The Club may be wound up in any manner provided by the Incorporated Societies Act 1908 and the regulations thereunder, any Act passed or regulation made in substitution thereof. Upon such winding up any surplus assets remaining after the payment of all costs and liabilities shall be applied as the Committee may decide, but subject always to the objects of the Club. (a) The Annual General Meeting shall be held during the month of May in each year at a place approved by the Committee. (b) At each Annual General Meeting of the Club each financial member present shall be allowed the power of one vote. (c) The Annual Report and Balance Sheet and Notices of Motion shall be circulated to each financial member prior to the meeting. (d) Fourteen (14) clear days’ written notice of such Annual General Meeting shall be given. (e) The Notices of Motion shall be in the hands of the Secretary not later than 21 days prior to the Annual General Meeting. (i) By the Committee at any time. (ii) By a requisition signed by fifteen (15) financial members of the Club. On receiving such requisition the Secretary must call the meeting within seven (7) clear days of receipt; failing which the fifteen (15) financial members concerned have power to call the meeting. Financial members of the Club shall be entitled to vote at such Special General Meeting in accordance with Rule 9 (b). (i) All members of the Executive and Committee may offer themselves for re­election at each successive Annual General Meeting of the Club and shall be eligible for re-election. (ii) The Committee shall have the power to co-opt such additional financial members as shall be required from time to time in order to ensure the efficient administration of the Club. (iii) A quorum for a meeting of the Committee shall be five (5) of the members present and entitled to vote. (a) These rules may be amended, revoked or added to only at the Annual General Meeting of the Club or at any Special General Meeting thereof convened for the purpose, provided that no amendment, revocation or addition shall have effect unless passed by a majority of seventy-five per cent (75%) of the voters present at such a meeting and entitled to vote thereat as provided in Rule 9 (b). (b) Notice of every proposed amendment of the Rules intended to be moved at the Annual General Meeting shall be lodged with the Secretary not later than the 1st day of April. (c) Notice of every proposed amendment of the Rules intended to be moved at Special General Meetings shall be lodged with the Secretary at the time such Special General Meeting is requisitioned. (d) Every such motion shall have a mover and a seconder and shall indicate clearly the nature of the proposed amendment. (e) A copy of all such proposed amendments duly received shall be forwarded to the financial members of the Club not later than fourteen (14) clear days before the date fixed for the Annual General Meeting or Special General Meeting. (f) Any amendment, revocation or addition made to these rules shall take effect as from the date of registration of such amendment, revocation or addition. The Cellar Club Rules as agreed at AGM 14 May 2008, revised 10 April 2013.